Sergei Skripal, a former Russian spy who was left in critical condition by a nerve agent attack in Britain more than two months ago, has been discharged from hospital, England's health service said on Friday. Skripal, 66, a former colonel in Russia's military intelligence who betrayed dozens of agents to Britain, and his daughter Yulia were found unconscious on a bench in the southern English city of Salisbury on March 4. Britain has accused Russia of being behind the nerve agent attack and Western governments including the United States have expelled more than 100 Russian diplomats. Russia has denied any involvement in the poisoning and retaliated in kind. The Skripals were in a critical condition for weeks and doctors at one point feared that, even if they survived, they might have suffered brain damage. But their health began to improve rapidly, and Yulia was discharged last month. "It is fantastic news that Sergei Skripal is well enough to leave Salisbury District Hospital," the hospital's Chief Executive Cara Charles-Barks said in a statement. Police said they would not discuss the security arrangements in place for the Skripals. Investigators hope their improved health will allow the Skripals to help better establish what happened in Salisbury. Britain and international chemicals weapons inspectors say the Skripals were poisoned with Novichok, a deadly group of nerve agents developed by the Soviet military in the 1970s and 1980s. A spokeswoman for British Prime Minister Theresa May, who called the attack a "reckless and despicable act", welcomed Skripal's discharge. Russia has denied involvement in the first known offensive use of such a nerve agent on European soil since World War Two. Moscow suggested Britain carried out the attack itself to stoke anti-Russian hysteria, and Foreign Minister Sergei Lavrov said last month that the agent used in the attack may have never been made in Russia. The Russian embassy declined to comment on Skripal's release from hospital but Russia's ambassador to London, Alexander Yakovenko, was due to give a news conference later on Friday. 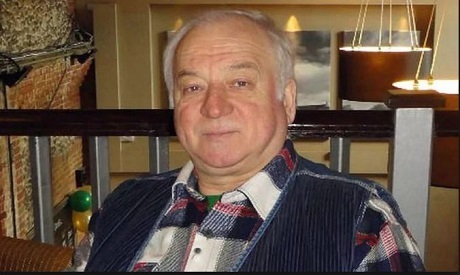 He has previously requested consular access to offer assistance to Yulia Skripal since her recovery, which had not been granted. Britain said she has chosen not to take up Russia's offer of help.